Vilar Riu de Baix. The Cottage in Flix, Tarragona. 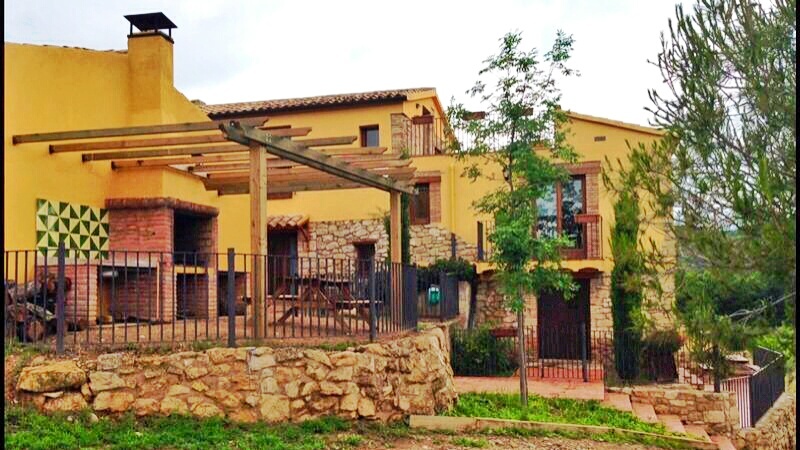 The “Vilar riu de Baix Masos” are 2 country houses with 8 people capacity each one. They both have big terraces from where the Ebre and the nature are seen. The houses have 2 floors united by a stairs, which connect the night floor (upstairs) and the day floor (downstairs). The original country houses have been respected in the restoration, having all the details and structure, but with all the comfort we have nowadays. It’s a warm and private environment which will make that our stage in our Masos reminds you the evening breeze and walks.